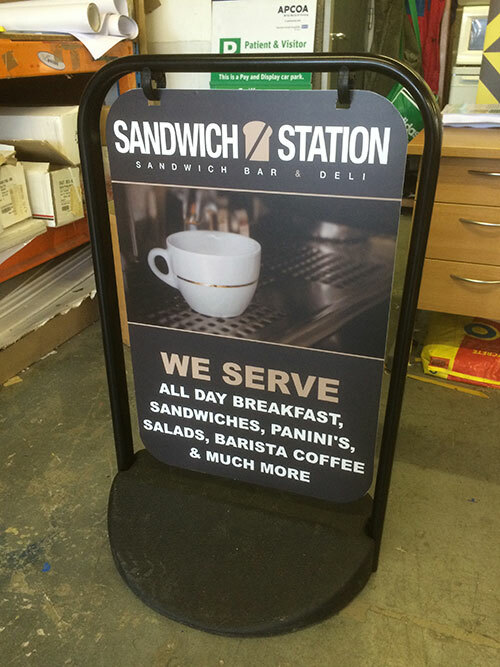 This week we’ve been printing and fitting some A-board signs, great advertisements for outside a shop or area of business. 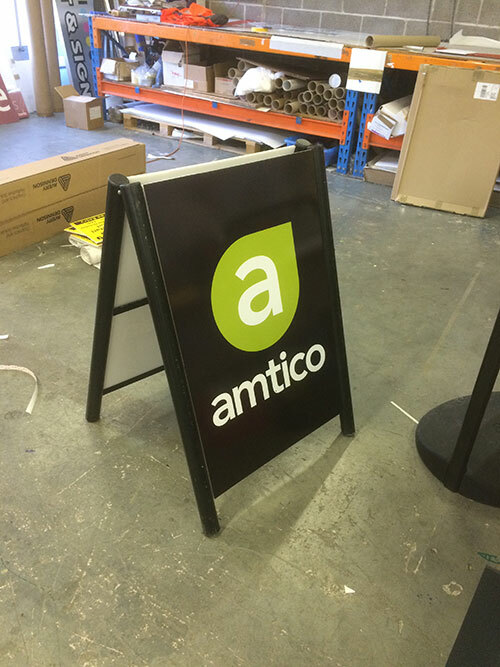 These eye-catching visuals are perfect for showing passers-by what exactly it is you do, a great talking point for your first interaction with a new customer. As with our roller banners and business cards, the thing to remember with making the most out of an A-board is your design. Ultimately what information you put on there and how you market yourself will determine its effectiveness. To help with some inspiration, think about your audience: who walks past every day? And at what time? There are many different factors that can go into a design, chat with us to get some ideas.